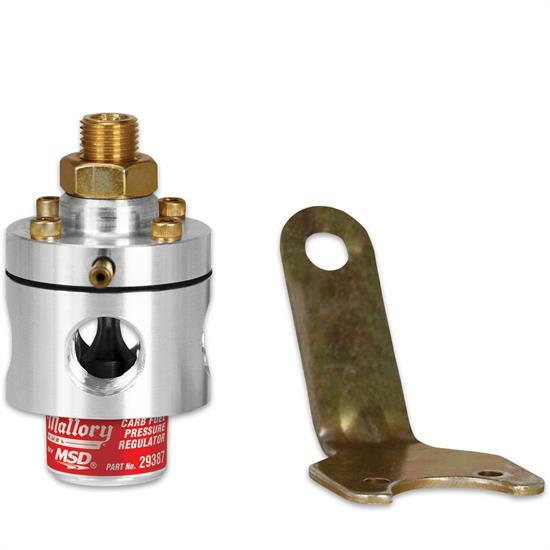 Mallory’s Fuel Pressure Regulators are designed to deliver consistent fuel pressure throughout all ranges and loads of the engine. Each Regulator is supplied with a sturdy mount and hardware for easy, secure installation. Billet aluminum housing that is machined to precise tolerances.